Some of the most long-lasting gifts fall into the grooming department. One swift spritz of an aftershave every day means that any scent you unwrap will do you for much of the year. So why not opt for something from Creed, such as the Viking fragrance they launched this year – bold, peppery and with hints of Indian sandalwood. Or opt for Floris, and their classic Leather Oud Eau de Parfum. 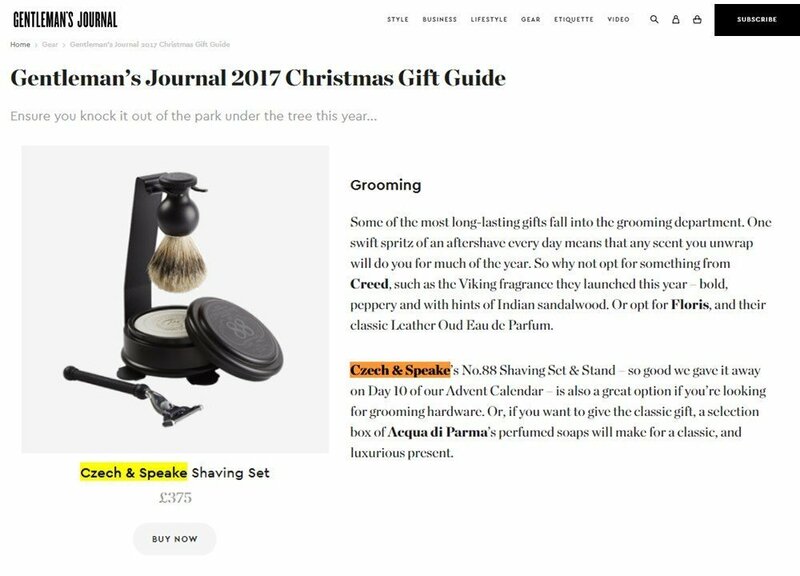 Czech & Speake’s No.88 Shaving Set & Stand – so good we gave it away on Day 10 of our Advent Calendar – is also a great option if you’re looking for grooming hardware. Or, if you want to give the classic gift, a selection box of Acqua di Parma’s perfumed soaps will make for a classic, and luxurious present.